What Wendy Peffercorn is to Kodachrome, New York is to HP5. She’s the ultimate lady. She will kick you when you are down. She doesn't care about your problems. She is hard to live with and makes nothing easy. Yet she will always leave you wanting more. Needing a little weekend getaway, Riki and I booked a room for one night in a charming old house on the bluff overlooking the mighty Mississippi River. One of the great benefits of photographing weddings is that occasionally you get to go to some really sweet places, even if it's just for a weekend. Our official excuse for the visit was the Saints game in London, but of course, like so many other New Orleanians, we had to make a trip out of it. Our itinerary was simple: eat, drink, explore. So many lighthouses, so little time. In April of 2015 a good friend and I took the trip of a lifetime through the epic state of New Mexico. I was blown away by the beauty and diversity of the place, but one sight in particular stood tall above the rest: the Bisti Badlands. 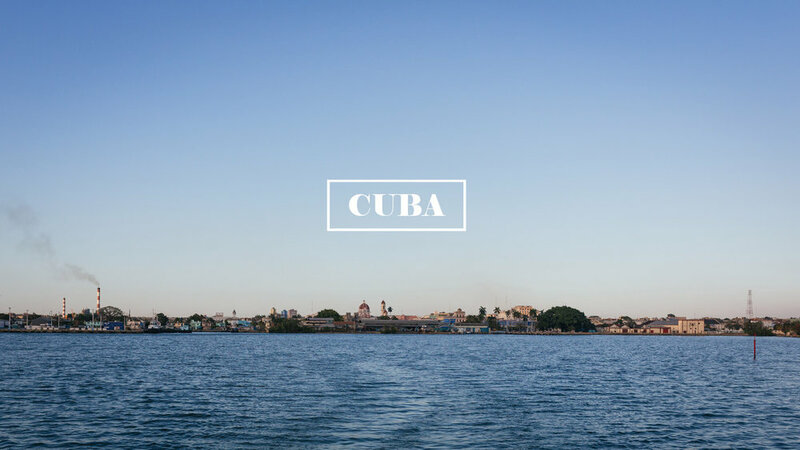 Cuba is a place stuck in time. A place of stunning natural beauty and warm and happy people. I'm still trying to wrap my head around it all. Sailing the ocean blue, with zero adult supervision. Every once in awhile you just have to treat yo'self. Last weekend, we drove to Savannah and did just that. Any escape from New Orleans in August is welcome. It turns out three days in Colorado is more than enough to hit the reset button. Here are some highlights from our recent trip. We've just returned from paradise. Just two hours down the road from the mega resorts and ivory towers of Cancun lies a paradise known as Tulum, Mexico; an ancient world of Mayan temples, thick jungle, gorgeous beaches, and my new favorite thing in the world: cenotes!